Providing service and maintenance to your engine is vital for its performance and endurance. That’s why it’s important to have the certified technicians at Hi Tech Luxury Imports’s service department check your Audi A4’s antifreeze regularly. As far as the name ‘antifreeze’ goes, don’t let it fool you, it is not just meant for cold weather. The purpose of this additive is to make fluids that circulate through your internal combustion engine resistant to both heat and cold by elevating their boiling point and lowering their freezing point. Antifreeze also counteracts corrosion, which is good for the upkeep of your vehicle’s intricate systems, since a lot of metals can have an electrochemical reaction if you were to use plain water. Getting in the right mixture of coolant or antifreeze that your particular vehicle needs is truly a science. The proper ratio needs to be poured in, or else it can damage the engine severely or clog up the cooling system passages. With our professional antifreeze service, you need not worry about that anymore. Since all our technicians are certified, you can rest assured that your vehicle is in good hands. Professional and proper service on your vehicle is the best way to keep it in good shape and long-lasting for years to come. Needless to say, there are just some things you can’t or shouldn’t do yourself. Antifreeze also degrades and needs to be flushed, from time to time, to clean up all the residue and buildup that it collects from circulating through the system. This too is an issue that needs to be carefully addressed by an expert. Your Audi A4’s owner’s manual is always the best guide to help you figure out when your coolant needs to be refreshed. However, other factors such as usage and mileage on your vehicle may significantly alter these estimates, so having one of our technicians do a checkup is not a bad idea. In addition, regardless of what advertising may say, there is no one-brand fits all solution. The make, model, and year of your vehicle are huge variables to consider when getting it serviced. In some cases, the wrong kind of antifreeze will not only disagree with your car’s engine, it can cause major damage. Value your vehicle and give it the treatment that it deserves, in turn it will remain your reliable companion on the road and suffer fewer issues in the long run. 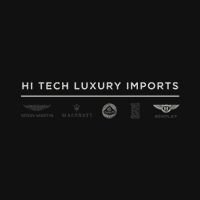 So when it’s time for your car’s next antifreeze replenishing service, think of Hi Tech Luxury Imports, your local trustworthy dealer.